Vermont Fresh Pasta – 25 Years in Business! Many of us may take it for granted that for years we have had delicious, fresh, locally produced pasta available at our Vermont neighborhood grocery stores. 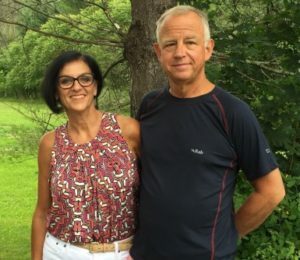 In 1992, when Ken and Tricia Jarecki were new owners of Vermont Fresh Pasta, fresh and local was a much harder sell – even the Vermont Fresh Network was yet to be founded. But Ken and Tricia knew what the quality of their homemade and locally sourced pasta would convert the masses – they were right! We asked Ken and Tricia about their milestone – a quarter century in the business – and their journey to this point. Read the whole article on the Vermont Fresh Network website!